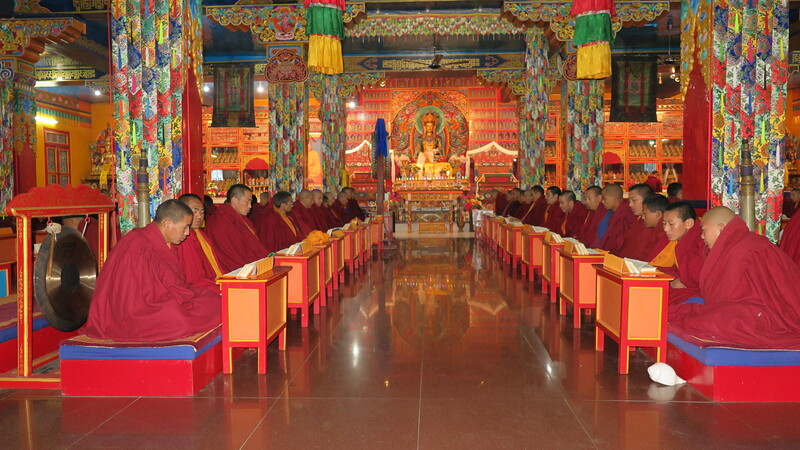 After lengthy consultation with His Eminence Yongdzin Tenzin Namdak Rinpoche, the selection process for the 34th Menri Trizin began on the 1st day of the 11th lunar month, December 19th 2017, at Menri Monastery under the direction of His Eminence Menri Lopon Yangton Thrinley Nyima Rinpoche. In general, every Yungdrung Bön geshe is an eligible candidate. However, due to the current difficult situation, it has been decided that only those candidates outside of Tibet are eligible. 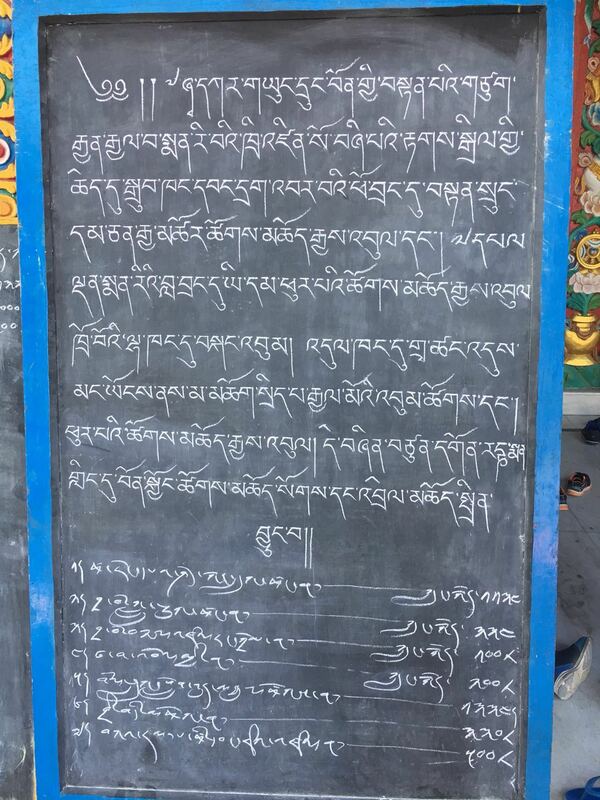 If for any reason, an eligible geshe does not want to be considered as a candidate, he is free to withdraw his name by contacting the monastery. After these considerations, there were approximately sixty names of eligible candidates. 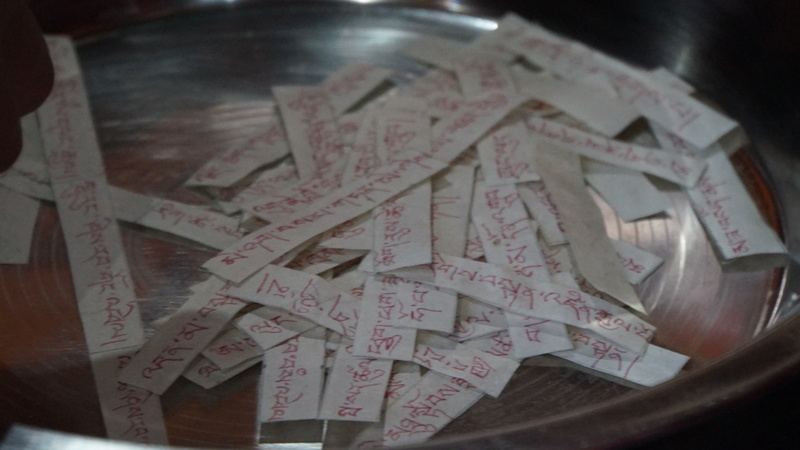 On December 19th, Menri Lopön Thrinley Nyima Rinpoche, Triten Norbutse Khenpo Tenpa Yungdrung Rinpoche, as well as other exalted professors and administrative members wrote each candidate’s name onto a small piece of paper, and placed that paper inside of a ball of tsampa dough, which was then dried in the sun. Each of these balls of tsampa dough were placed into two separate vases, and sealed with wax. These vases were placed in the protector temple and will remain there while lengthy prayers and offerings are made to the religious protectors in order to invoke their wisdom. 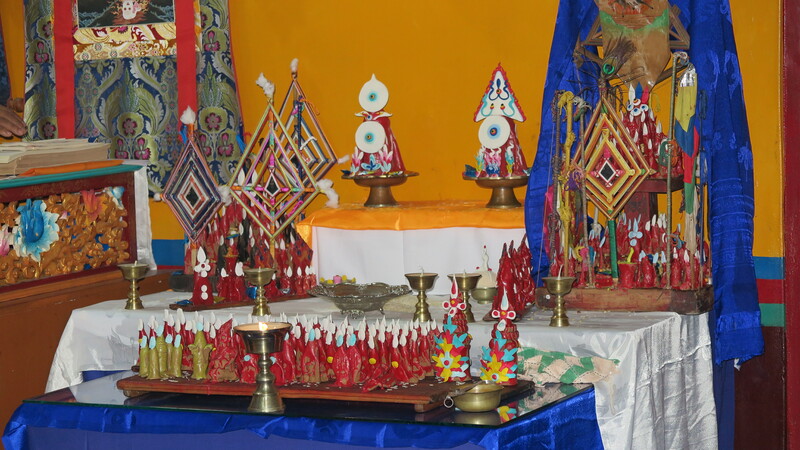 On December 21st, many prayers and offerings were made in order to remove all obstacles and hindrances. On December 22nd, the main rituals began which will take six days to complete. The majority of the monastic community will be performing the One Hundred Thousand Offerings to Sipé Gyalmo in the main temple. 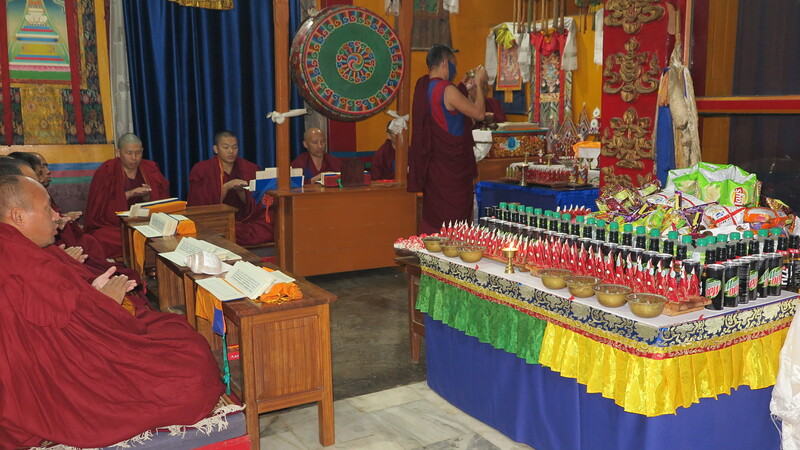 Simultaneously, there will also be offerings and prayers to the main yidam of the Menri Trizin, Purba, at the Menri Trizin lama residence by a smaller group of monks. Yungdrung Bon monks praying in the main temple of Menri Monastery. Photo credit: Menri Monastery. On the morning of December 27th, His Eminence Menri Lopön Thrinley Nyima Rinpoche will shake the first vase until a ball of tsampa dough comes forth. Then, he will similarly shake the second vase until a ball of tsampa dough comes forth. These two balls of dough, each containing a candidate’s name inside, will then be placed into a vase. Another five days of offerings and prayers to the religious protectors will commence. Notice and schedule of ritual events posted at Menri Monastery. Photo credit: Khedup Gyatso. On the morning of January 1st, the vase containing the two names will be shaken in front of the sacred image of Lord Tönpa Shenrap Miwoche in the main temple by His Eminence Menri Lopön Thrinley Nyima Rinpoche. The tsampa dough that emerges will contain the name of the 34th Menri Trizin. This traditional process is known as Lha Sung Den Tarwa, Requesting the Religious Protectors to Reveal the Truth. During this time, it has been requested that the worldwide Yungdrung Bön family offer prayers and aspirations for the selection of the 34th Menri Trizin. Posted on December 23, 2017, in Prayer and Ritual, Uncategorized, Yungdrung Bon Monasteries. Bookmark the permalink. Leave a comment.